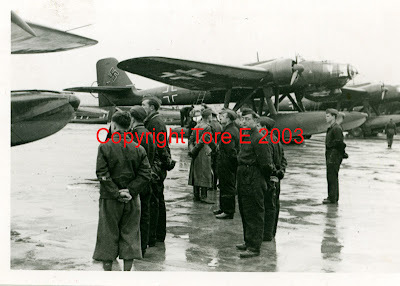 On September 12, 1940, He 115 S4+BK of 2./506 left Tromsö seaplane station for the inhospitable Norwegian island of Jan Mayen to investigate why the Norwegian weather station there was no longer transmitted weather reports. 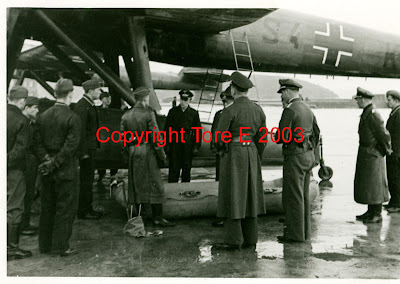 On board the aircraft was Dr. Erich Etienne, chief of the German weather service in Northern Norway, and the aircraft observer, Lt. Müller. They were apparently the only two crewmembers that actually went ashore on the Island. It turned out that the Norwegian weather station had been evacuated and the aircraft then returned to Tromsö. 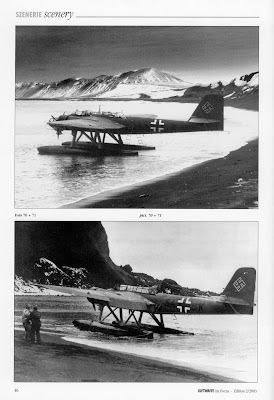 The actual fact was that the Norwegians had left Jan Mayen for Iceland already on September 4, 1940. 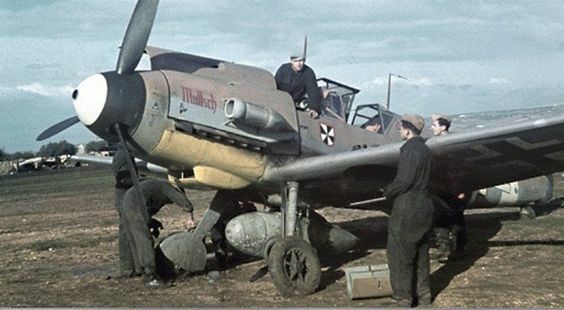 S4+BK was a He 115C - note the MG 151/20 under the nose and the rearward firing MG 17 in the engine mount.